Led by industrialist Ajit Gulabchand, Charosa Wineries is located near Charosa village in Dindori, where the company currently cultivates Viognier, Cabernet Sauvignon, Shiraz, and Tempranillo varietals spread over 230 acres. 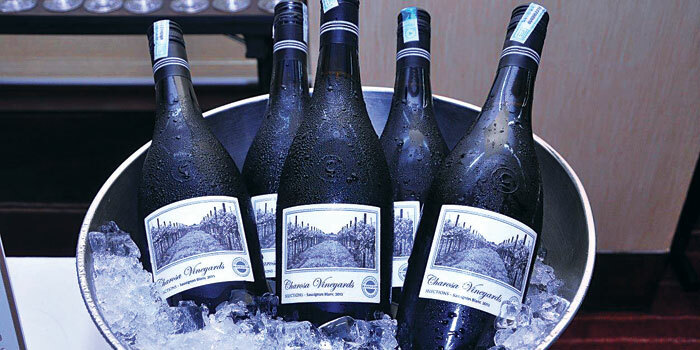 At a recent launch at JW Marriott Bengaluru, Parag Kamat, COO at Charosa Wineries said that the foundation of their wines is based on the true fusion of science and art. a�?The wine making process at Charosa is unique, from the growing of the vines and vineyard management through the production process and the artistic labels,a�? he went on to tell us that a�?open tank fermentation is being specially done for red wines, a first in Indiaa��. The folks at Charosa are well aware that the Indian wine segment is growing rapidly and their wines are definitely not for mass consumption a�� in terms of quality or price. a�?We are positioning Charosa wines to cater to the premium and semi-premium segment,a�? confirmed Clive Castelino, of Charosa Wineries. I recently had the privilege of tasting these delicious wines over two occasions a�� one, at Charosaa��s formal launch event at JW Marriott Bengaluru and, the second, at the a�?Indian Wine Villagea�� at ITC Gardenia for The Bangalore Wine Club members. At a glance the wines included reserve labels like Tempranillo and Cabernet Sauvignon, a Selections range a�� Sauvignon Blanc, Shiraz and Viognier. And a Charosa Pleasures Sauvignon Blanc and Charosa Pleasures Cabernet Shiraz. Charosa Reserve Tempranillo has been a clear favourite among wine lovers. Ruby red with aromas of vanilla and raspberry, this medium-bodied wine is rounded and well-balanced with a smooth finish. Charosaa��s Sauvignon Blanc with its clean aromas is light, crisp, fruity and packs in plenty of acidity with a nice length and after-taste. The fruity Viognier is refreshing with spicy hints and a soft silky texture expressed by a short aging in French Oak barrels. The Shiraz with a toasty aroma expresses ripe red fruit and mature tannins with a hint of oak.